We finally have some balance this year. After an awful winter, the spring is wonderful, with plenty of rain, lots of sunshine, and now mild weather. The garden has responded as one would expect, with a burst of growth, color, and fragrance. All but eight of the roses have now bloomed. Photos of those who bloomed in the last few days are below. 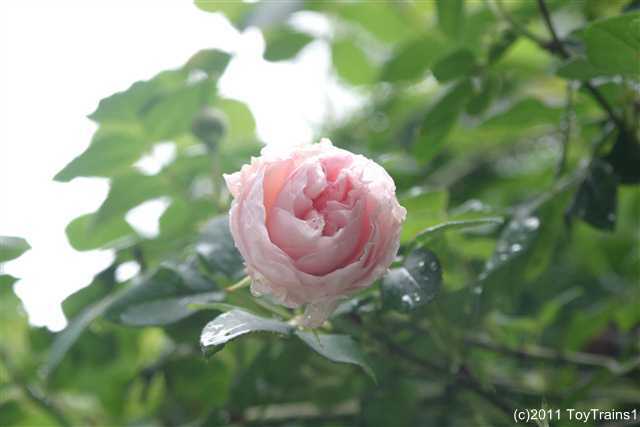 Both the herbaceous peony and the Itoh peony "Cora Louise" planted last year are in full bloom. The garden is wonderfully scented by all of the flowers, and the grass is a lovely green. It's almost enough to make me forget my various physical ailments. Over the last few days, I've taken about 150 photos out in the garden and those have now been posted on my main Roses web site. As a reminder, you can always find what's new on the web site via my What's New page. Here are a few highlight photos to tempt you to visit the web site. 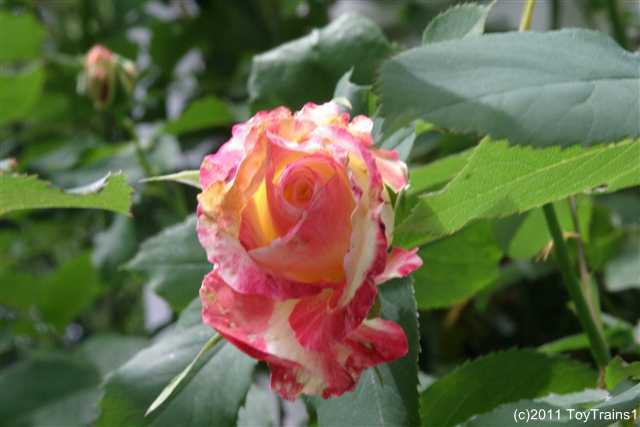 First, the roses that have bloomed recently. The first of those is Dr. Huey. Third is Madame Isaac Pereire. 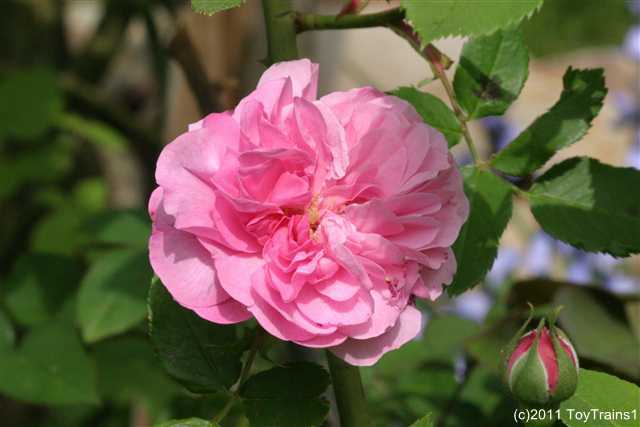 And the last of the recently blooming roses is Pierre de Ronsard. Here are the peonies. 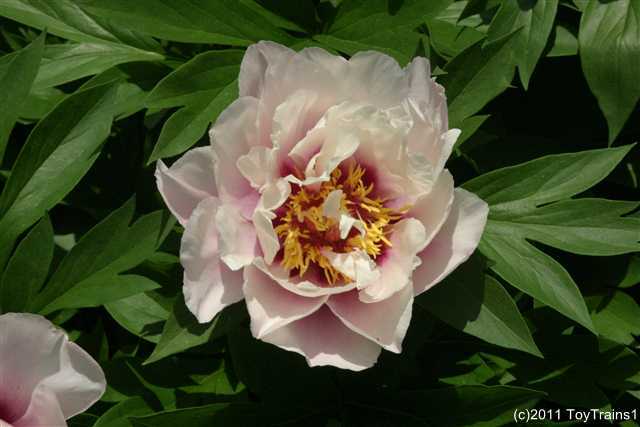 First the herbaceous peony. 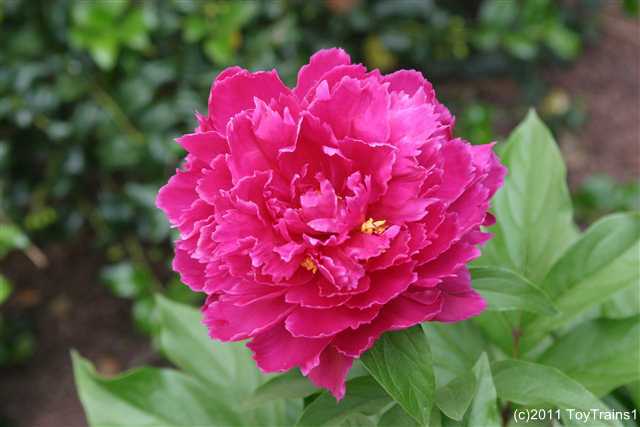 And last is the Itoh peony "Cora Louise". Overnight, Double Delight, Fisherman's Friend, and Fragrant Lace have opened up their first blossoms and Zephirine Drouhin has started her spring flush. The white rhododendron has also gone from bud to bloom and the mock orange has bloomed. Even better, it seems that, just perhaps, today will finally be rain free! 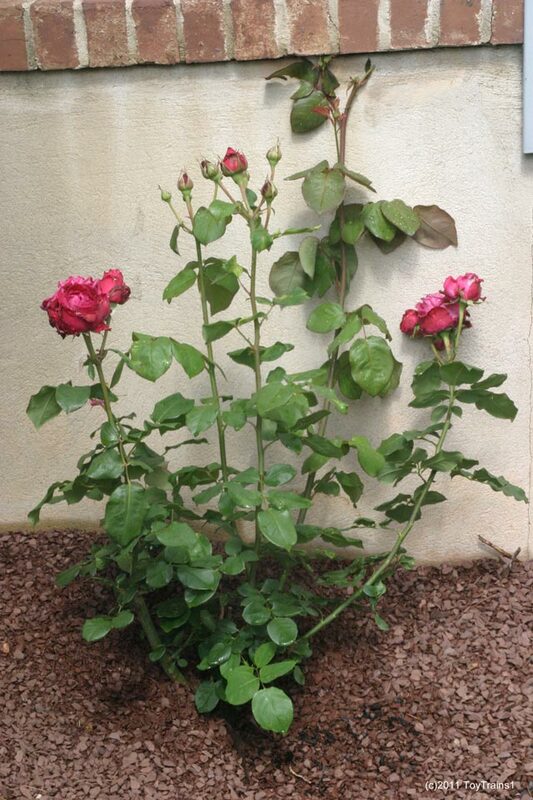 Here are the three newly bloomed roses. The first is Double Delight. Number two is Fisherman's Friend. And last is Fragrant Lace. 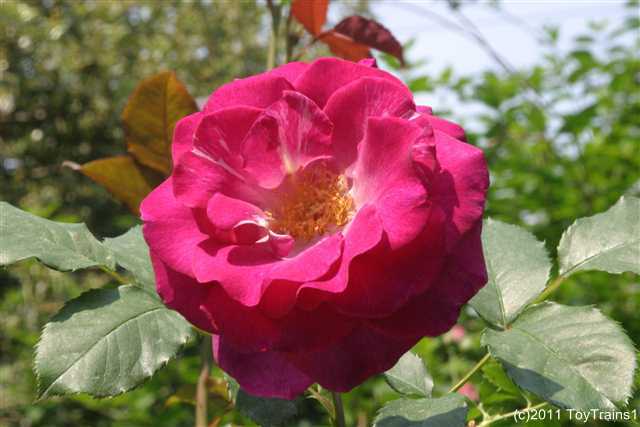 Over the last few days, a number of other roses have bloomed: Heritage, Pat Austin, Red Ribbons, Winchester Cathedral, and Zephirine Drouhin. More still are just about to bloom. We're finishing up one solid week of rain, about five inches worth, so I'll have to get out there to spray as with so much moisture for so long, the fungus is no doubt among us! LOL The other plants in the garden are doing well too. I've taken a bunch of photos in between the raindrops and they're now all posted on the web site. Remember, you can always check the What's New page to see the latest updates. 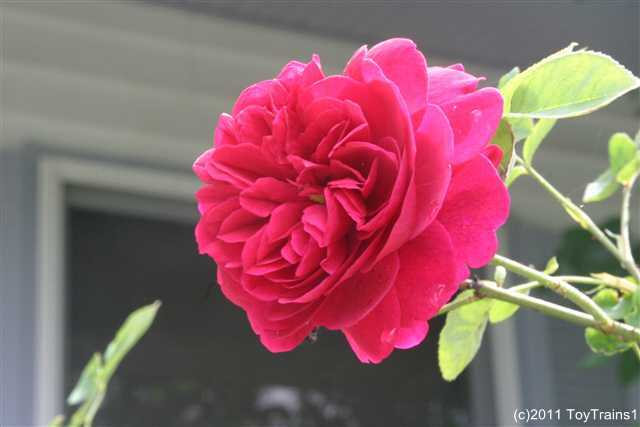 I also finally gave up trying to get a rose to grow in the spot formerly occupied by the late, lamented Brigadoon. After three or four failures, I give up! Since it's next to the daylily Plum Perfect, which has done very well there, I went to the nursery and have planted a new daylily, also in the purple family, called Indian Giver. Hopefully it will do well. 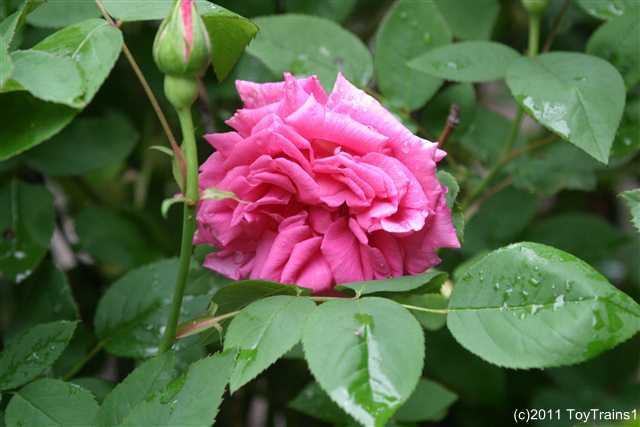 Here are photos of the recent roses. First is Heritage. 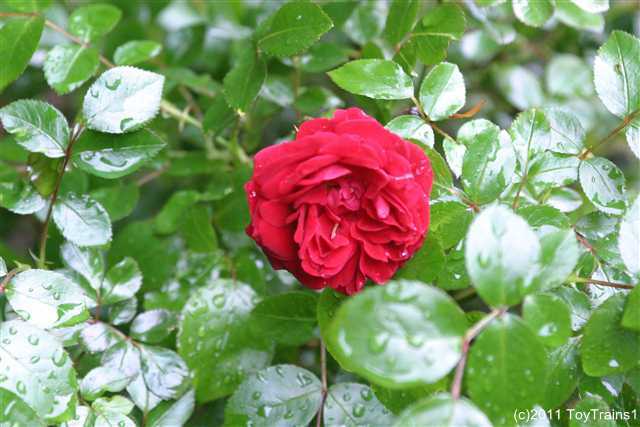 Posted in Misc, Other Garden, Roses	| Comments Off on More Roses! 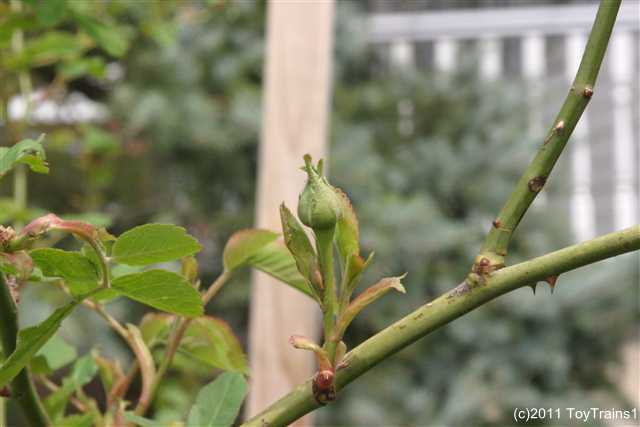 Pretty much as expected, Louise Odier opened up her first bud to become the second rose to bloom this year. She now has quite a few in the process of opening and the fragrance is already starting to scent that part of the garden. 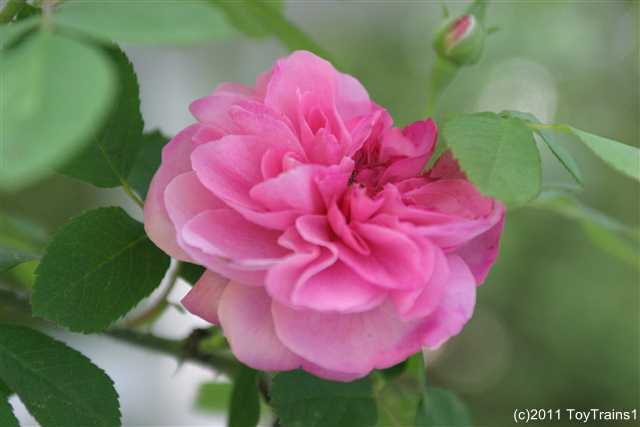 Besides the photos of those roses, I've now got just about 200 garden photos taken this year posted on my Roses web site. Various azaleas, bluebells, wood hyacinths, weigela, you name it. You can always find what I've added lately by checking the What's New page. 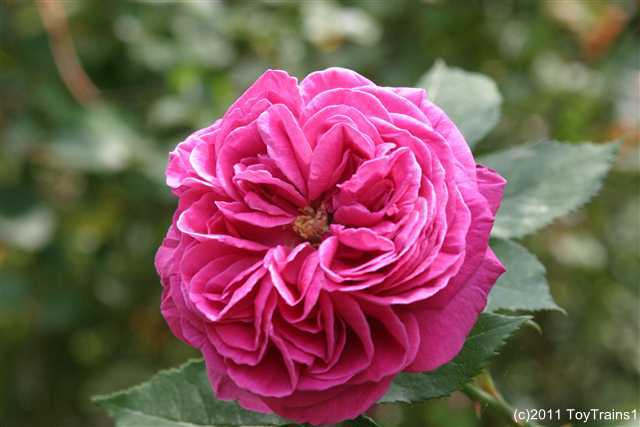 Here's the first Louise Odier blossom. 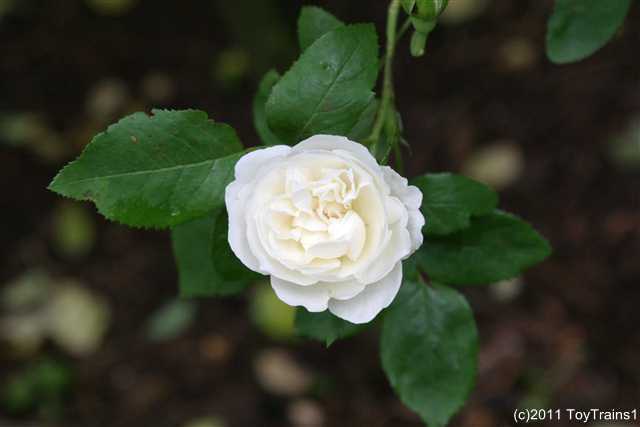 I wasn't at all happy with the performance of Smooth Satin last year and this year its spring growth has been underwhelming, so I went looking for a new rose to replace it. 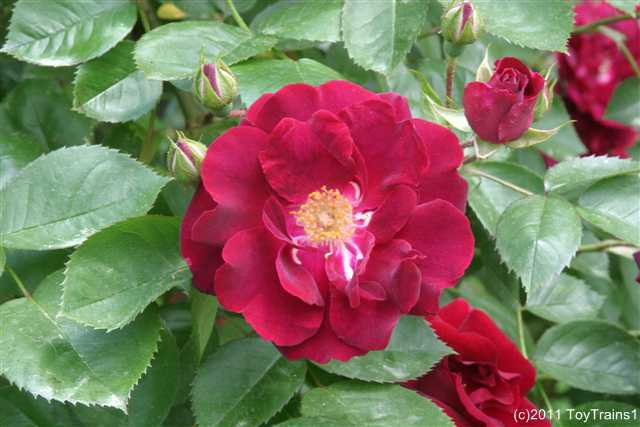 After shopping around, I found a beauty, a deep red hybrid tea with a lovely damask scent. 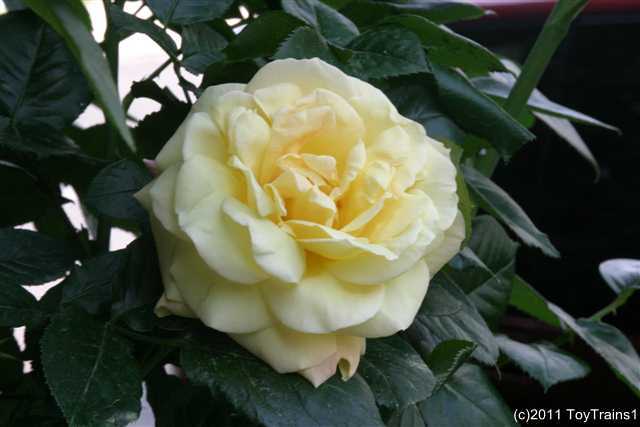 It's easily the most vigorous potted rose I've ever bought, complete with buds and blooms. I was getting ready to put it into the ground in place of Smooth Satin, and then started to think. 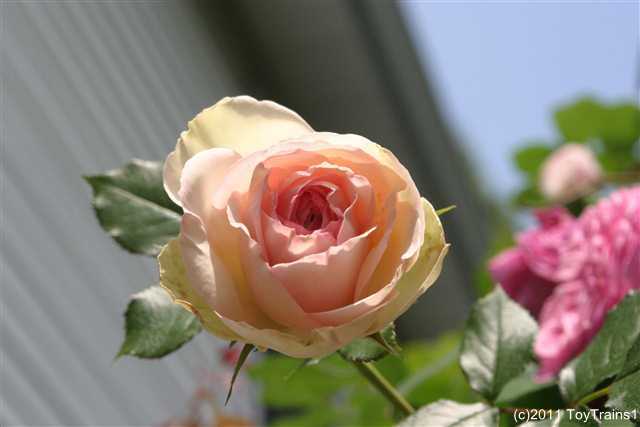 Ever since Brigadoon died, every rose I've put in that spot hasn't fared well, even though I completely change over the soil with each new rose. It faces dead north and doesn't get much sun at all. I started looking over all three gardens (front yard, side yard, back yard) and spotted a bare spot in the side yard garden, in the redone foundation bed between the dwarf (yeah, 20 feet high already and they call it a 'dwarf') blue spruce and the skip laurel. It faces west and gets at least a half-day of sun. 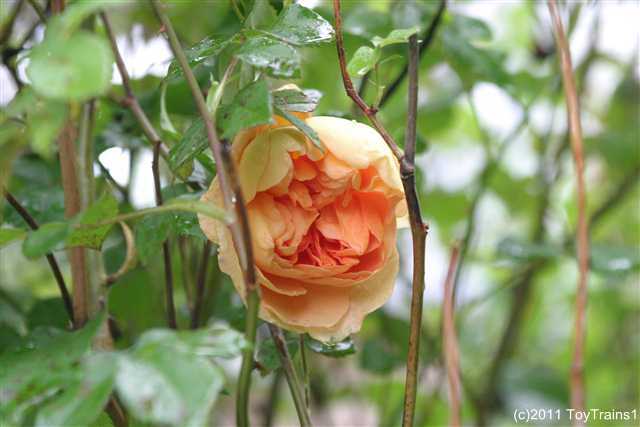 A bare spot in the garden plus lots of sun equals a good place for the new rose, so there it went! The photo shows it just after planting. Oh! It's called Smooth Velvet and it's from the same family as Smooth Satin. It now has its own page. I've also added many new photos of the other garden denizens and you can find all of them via the What's New page on the web site. I've been horribly remiss in keeping up this journal and in maintaining my garden web site. All I can say is that my health hasn't been all that great (as an example, it seems that I now have a bone spur in my other shoulder that's causing problems with that rotator cuff) and that I've been busy with my trains, among other things. However, I have been out in the garden as it awoke from the horrible winter and have been documenting it photographically. This evening, I processed well over 100 photographs and did a massive update of the web site to bring it up to date. Checking the "What's New" page will show you all of the updates and you can see all of the new photos, rather than me trying to put a few representative shots here. 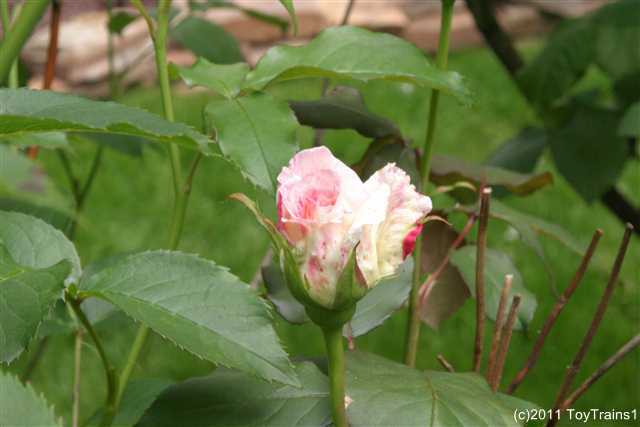 What I will show here is the first rose bud of the year, that I found on Louise Odier (of course) on 20 April. It has since begun to open to give me my first rose of the year. Posted in Roses	| Comments Off on Happy New Year! The storm that flooded California moved across the country and is now moving out into the Atlantic and up the coast. The predictions were that it would pass us by out to sea, exactly like the last one did. They changed the predictions. We now have a blizzard warning! Having not fully recovered from last winter's blizzards, I am not looking forward to this at all. It seems that the bad omen of snow on Thanksgiving is being realized. Posted in Misc	| Comments Off on Oy Vey!